If you can get past her strange profile (is it just us, or does she resemble half an egg? 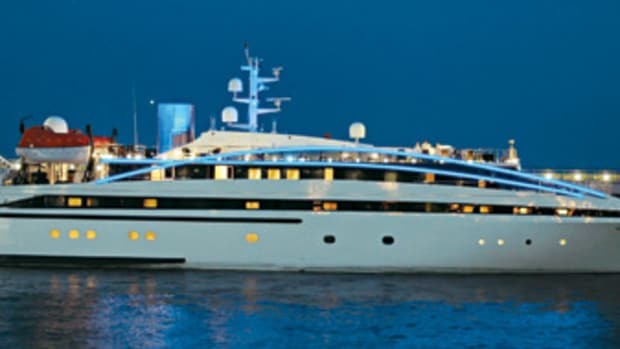 ), RM Elegant offers elegant accommodations for your charter party. Emphasis on "party": She features a grand piano, PlayStation video game consoles, tons o&apos; watertoys ranging from wakeboards to windsurfers to towing rings, and a hairdressing studio. Further proof: A famed English footballer (soccer player) and his fiance celebrated for days on end aboard in Italy in June.